The Kandadji dam project has been veiled as a climate resilience and irrigation program, yet has in turn increased vulnerability for the populations most impacted by the dam. The Government of Niger and the High Commission for the Improvement of the Niger River Valley (HCAVN) are constructing a $785 million dam on the Niger River, funded by a number of international actors including the World Bank, the French development Agency, and the Islamic Development Bank. 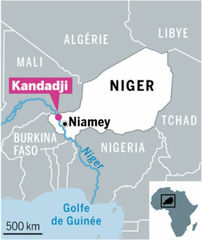 The Kandadji Ecosystems Regeneration and Niger Valley Development Programme, known as Kandadji, aims to provide 130 megawatts of nationally-produced electricity to Niger´s grid, improve conditions for irrigated rice production in the banks of the Niger, and regulate the course of the Niger River. Proclaimed as a resilience-building solution to climate change hazards such as floods and drought, the project has been in development since the colonial period and more recently as part of campaign speeches based on a strong desire for electricity independence. This two-pronged objective was best described by the World Bank’s Vice President for Africa, Makhtar Diop - the Kandadji project is “a transformational development project that will deliver significantly more opportunity to communities, more food, water, and electricity, and less poverty in the poorest region of Africa." Diop´s hopeful statement stems from a discourse of climate resilience, which paints politically-difficult development schemes in the colors and terminologies of climate change adaptation. Activists at the national and international scales have decried the dam project as a mistake, based on the negative aspects of the project including the displacement of 30 to 60 thousand individuals (some of which have taken the Government of Niger to court demanding higher compensation but their case was denied), corruption and mismanagement by Nigerien government actors, and the high levels of uncertainty about the dam´s effectiveness as well as numerous more viable and cost effective alternative activities that would better strengthen agricultural activities, such as small scale irrigation. The dam is being constructed in a valley where local villagers practice gardening and dryland farming and sits about 180 kilometers north of Niger´s capital Niamey at the base of a rocky hill. The dam will displace an estimated 38 000 to 60 000 people living in the vicinity. The World Bank has orchestrated a resettlement package including: new housing, access to irrigation and shared development funding from the electricity production. Resettlement was met with initial enthusiasm in 2012 by some of the 5500 persons moving into the new settlements. However, resident´s contentment quickly faded as they realized that the new locations lack viable water resources and the irrigation systems are not perceived as viable as the former modes of production. 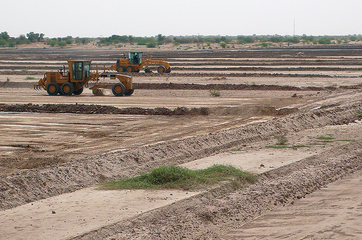 Moreover, land tenure has not yet been determined for resettled individuals. Kandadji´s elaborate irrigation systems demand high levels of investment including up to 500 USD in fertilizer, seeds, and water fees for yearly production, which may require some to obtain loans or will systematically exclude some producers without measures for supporting the transition. Project Details With its French title, "Programme de régénération des écosystèmes et de mise en valeur de la vallée du Niger, ¨ the dam project appears to emphasize its environmental benefits, including the regeneration of ecosystems and the enhancement of the value of the valley. This point has been further emphasized by the inclusion of organizations such as the World Wildlife Fund (WWF), International Union for the Conservation of Nature (IUCN), and the Global Water Initiative (GWI) in the consortium activities. 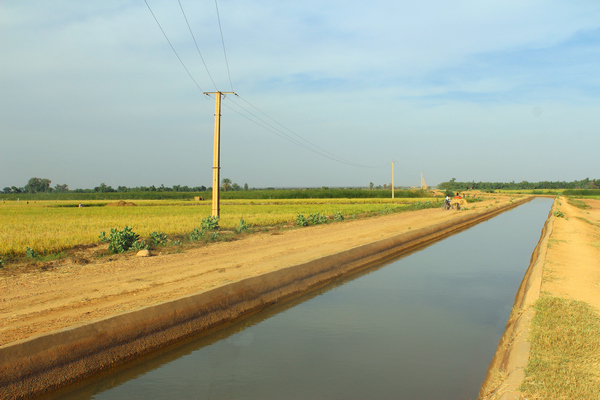 The project´s three main objectives include: 1) to maintain a minimum flow of 120m3 per second; 2) to create improved condition for the irrigated land in the valley; and 3) to produce energy. Though, the third objective remains paramount to the project, one that has been processing since the idea came about under colonial rule in the 1920s. The long term goals of the project include: 1) the production of the 130 megawatts necessary to bring an overall system increase in energy to 55%; 2) 10 000 hectares under irrigated cultivation in the vicinity of the dam by 2018, with the potential to increase to 45 000 ha by 2034; and 3) the regulation of the course of the Niger river for which the overall output has decreased by 30% since the 1970s due to intermittent rainfall and other factors, including upstream development activities. The Kandadji dam was approved in October 2008 and construction was planned to begin one year later, but due to complications actually began in 2011 and was set to be completed in 2015. This completion date has been extended several times due primarily to mismanagement, a lack of transparency, and slow production. Zaroubegevodstroï, a Russian Enterprise, was selected to build the dam, but their work was consequentially met with disapproval from the Nigerien government, causing the latter to reclaim 15 million € ( 16 million USD) cancel the contract in 2013. In early 2017, Nigerien officials met with French and Saudi leaders in order to renew support for Kandadji´s completion. It is unknown which company will take on the next phase of dam construction. Why? Explain briefly. The project is going forward despite internal mismanagement and external pressures from the communities impacted and some World Bank officials to shift the planning of the dam. Recently high level meetings were held in France and Saudi Arabia to secure more funding for the continuation of the project. It is unknown if the World Bank will attempt to reduce the size of the dam in order to limit the displacement of individuals. One potential success is that another environmental impact assessment will be carried out and Burkina Faso and Mali governments must approve the planning for the dam. Yet, the countries downstream from the Kandadji dam site are not included in this approval process.